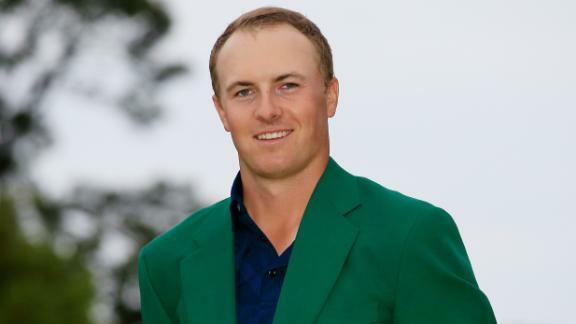 Jordan Spieth describes the experience of winning the 2015 Masters and how he is working harder than ever to improve. Jordan Spieth and his caddy, Michael Greller, recount his quadruple-bogey at the notoriously difficult 12th-hole at the 2016 Masters. Tiger Woods reflects on his career at the Masters and what he needs to do to have a successful upcoming weekend in Augusta.